Are you feeling overly stressed and can’t seem to get off the proverbial gerbil wheel? Do you find yourself overwhelmed and tired by the middle of the day? Then maybe you need some good, old-fashioned “me-time”. Now with school back in full-force and with the holidays soon approaching, me-time may seem like a luxury. However, back up and realize me-time is very much needed in your life for you to function as an efficient and functional work-at-homer (WAHer), parent, spouse, friend, and person. How Can You Find Time in Your Schedule for Me-Time? learn to walk it out. While many of us find it difficult to say “no” to the many demands made on us, we can learn to decipher which opportunities to participate in and which to decline. It is equally important to learn when to take a break as it is when to reorganize your daily routine. Henry David Thoreau, Thomas Jefferson, and Ernest Hemingway all recognized the importance of walking to clear your mind. Thomas Jefferson recognized long walks as a way to focus on your surroundings and stop thinking about yourself or stop thinking about anything for that matter. Speaking of walking, psychologists are beginning to recognize the importance of walking in light of mental health. “It’s become clear that this is a good intervention, particularly for mild to moderate depression,” said Jasper Smits, a psychologist at Southern Methodist University as cited in The Huffington Post, August 29, 2013 issue. Why Would Anyone Need Me-Time? de-stress and bring stress levels down to more controllable levels. regroup and listen to your inner self and needs. Is Me-Time the Same as Non-Billable Time? Absolutely not! While me-time is not billable time, it is still important. We WAHers need to realize that folding clothes and paying bills is not the same as me-time. Me-time was meant to de-stress and relax and do nothing. Not to be engaging in work that is non-paid then feeling guilty. 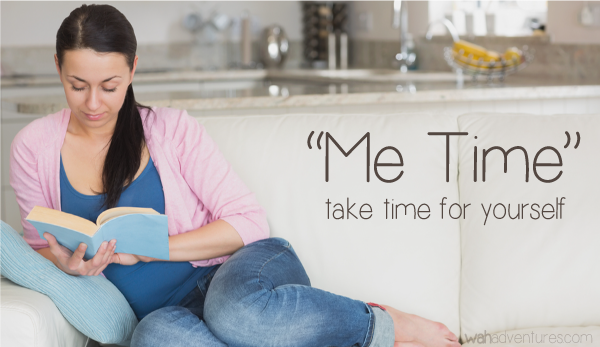 Me-time is all about tuning into yourself and regrouping your thoughts. Letting your eyes, mind, and body relax. How Can Me-Time Help Me Become a More Efficient WAHer? Because you are allowing yourself to stop working and to be quiet for a few minutes, you are allowing your mind to rest and rejuvenate. This will help you solve any upcoming issues or problems. “I am at peace with the unfolding of my life,” Cheryl Richardson who says that all of us need to be lazy and directionless and fill our creative tanks. Cheryl who is a self-care coach highly recommends getting in touch with your inner-self and inner-greatness then awaiting for a new season of life and waiting for new marching orders. When Does Me-Time Need to Become a Sabbatical? The concept of a sabbatical is mentioned in The Bible as a way to build rejuvenation and rest into a weekly routine. Nowadays it is used by teachers or really anyone wanting time away from work to do research, to think or to reach a goal. Anastacia Brice, virtual assistant trainer and owner of AssistU.com, takes a yearly sabbatical to clear her head and to think about where she wants to take her business next year. Her sabbaticals can last up to two months. When Does Me-Time Need to Turn into R and R (Rest and Recuperation)? Me-time really doesn’t need to become R and R, but for those who really feel they need to get away–do so! It is better to get away than never get away and become mundane and stuck. Recently, The Huffington Post has been publishing articles on how to have a “Serenity Saturday” with many articles dedicated to how to relax and unwind. Those of you using AOL.com as your email or ISP will know what I am talking about. Really, only you can decide that. It really should begin as soon as possible. Tomorrow’s 15-minute coffee break or 20-minute walk or workout can become a daily source of me-time. However, make sure you schedule it on your calendar as urgently and consistently as you would schedule any client work. Then allow for me-time to show you the new season of your life or new business idea. You only have to be available to listen! I got plenty of me time this past weekend – helped me clear my mind and also helped me come up with some more ideas for my website! I try my best to take every Sunday night as ‘me time’. My husband is gone for work and my kids are asleep. I usually turn the TV onto something mindless, watch a movie and lately I have been crocheting. I have a blanket I am working on. I’m hoping to have it finished before the cold months get here. Great reminder Leisa as I genreally find myself feeling guilty to take that time off. My To Do list is always long and lately I have been far behind!! But it is a great way to avoid stress and anxiety later. Exactly, Miranda. And you know, we are the only creatures who can actually reflect on a situation. No other creature can do that. With most creatures it is a matter of acting on instinct. Some primates do have reasoning capabilities when it comes to making simple tools (sticks and rocks) to gather food. So, I think we should stop and reflect on our lives for a few minutes a day!